For years, Grace has watched the wolves in the woods behind her house. One yellow-eyed wolf — her wolf — is a haunting presence she can't seem to live without. Meanwhile, Sam has lived two lives: In winter, the frozen woods, the protection of the pack, and the silent company of a fearless girl. In summer, a few precious months of being human...until the cold makes him shift back again. Now, Grace meets a yellow-eyed boy with a murky past. It's her wolf. It has to be. But as winter nears, Sam must fight to stay human — or risk losing himself, and Grace, forever. 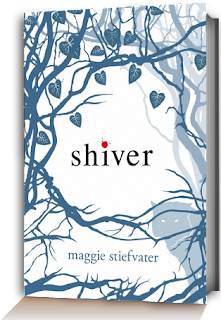 Shiver is the first in The Shiver Trilogy by Maggie Stiefvater and the first book of hers I had ever read. 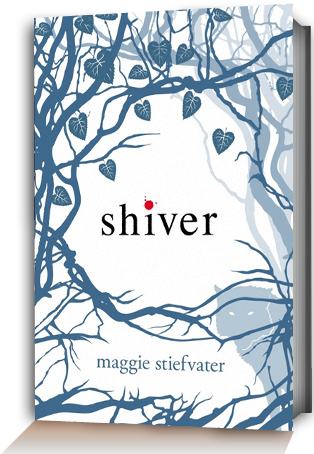 I picked up Shiver out of the blue when my teacher brought in a shelve of new books that the English department had just bought. There were ones like "I am number four", "Skulduggery Pleasant" and my 2 fave books in the world "Hunger Games" and "Twilight. My first instinct was to pick up either of the 2 but then I saw Shiver and once I was intrigued by the blurb it was... well let's just say love at first sight. I was up to chapter eight when the bell rang and I sadly had to give it back, it wasn't allowed to be borrowed yet and the library was closed. Damm...... Loving the first 8 chapters it was all I could think about. I went to my local bookstore..... out of stock. Library open............... on loan. So it was fate when I saw it in Dymocks and since then I have been locked in my room with Shiver in my hand. Good times, good times. When grace was young she was dragged from her tyre swing and was attacked by wolves, motionless and still she sat watching her yellow-eyed wolf. Since somehow surviving the attack, Grace has found herself mesmerised by the pack who she watches behind her house every winter. From the very beginning I was drawn to Shiver as much as Grace and Sam were drawn to each other. Not just because of the beautiful cover and blue inked pages, but because of the gripping storyline and the words used to create the masterpiece. I could emphasise with every character and felt happiness for Grace and Sam who were the cutest couple in the history of the world. Before reading Shiver I saw great reviews and bad reviews. So I was really hoping that once I read chapter 8 and on I would continue to love it. Little did I know that it would become one of my favourite books, gaining a spot among "Twilight" and "The Hunger Games" on the sacred Top Shelf. I loved the way Shiver ended and I was really glad that the story was from both Sam and Grace's perspectives. Because it really showed us both sides and both lives and we got to see inside their mind and appreciate the connection between them even more. 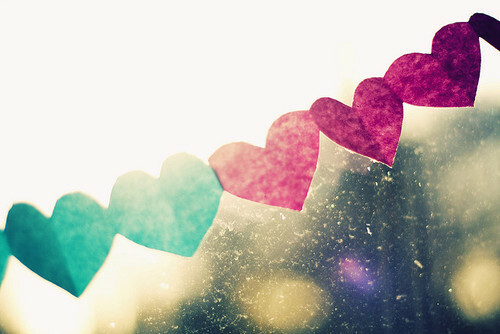 I can't wait for the second novel in the series "Linger" and then the last one "Forever". I absolutely love love loved Shiver and absolutely recommend it. I was sad to see it end.